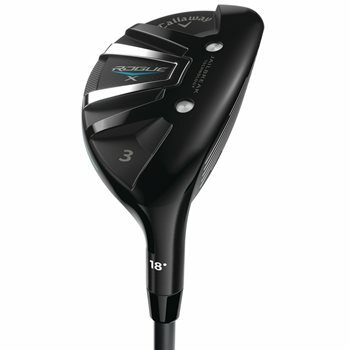 The Callaway Rogue X hybrid is designed for maximum distance with lighter weights, stronger lofts, and a larger clubhead and features Jailbreak Technology to increase ball speed and distance. The innovative Face Cup Technology works with Jailbreak Technology to promote fast ball speed across a larger part of the face for consistently long distance while the ultra-low CG location makes the hybrids easy to hit. Jailbreak Technology stiffens the club head, transferring more energy to the ball at impact for higher ball speed and distance.